Businesses along the Georgetown waterfront continue to clean up. Stores and restaurant's such as Tony and Joe's and Farmers and Fishers aren't expected to open anytime soon. The Washington Business Journal is now reporting the restaurants hope to reopen by Mother's Day weekend. Vid Mohan-Ram sent this video of flooding in Georgetown. 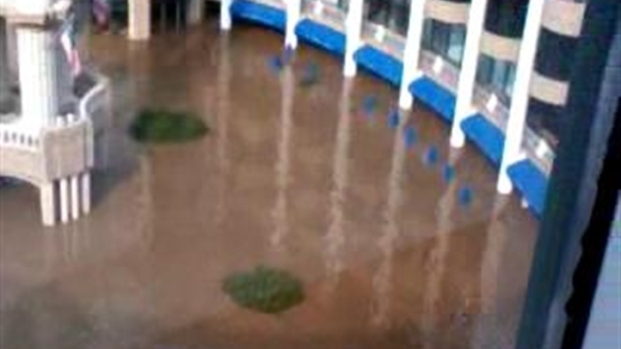 Between 10 and 12 feet of water flooded the businesses, causing millions of dollars in damage.